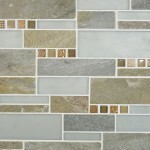 Clearly we are ecstatic with our new slate tile series… let the design juices flow!!! 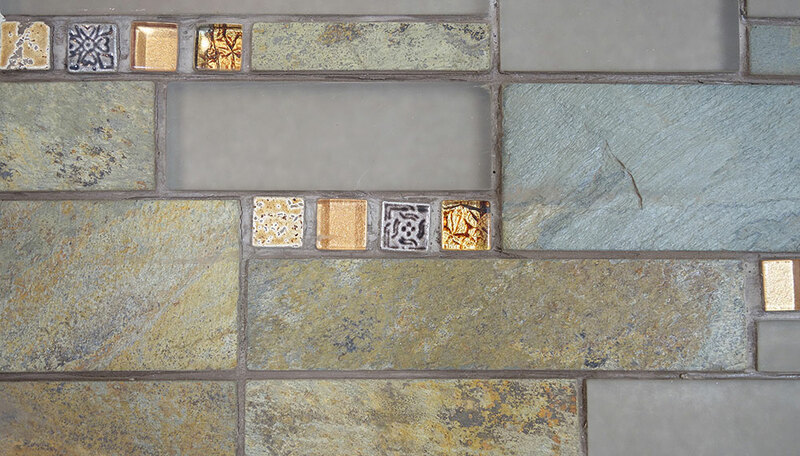 An array of neutral colored slate ranging from steel grey, to desert gold, to black. 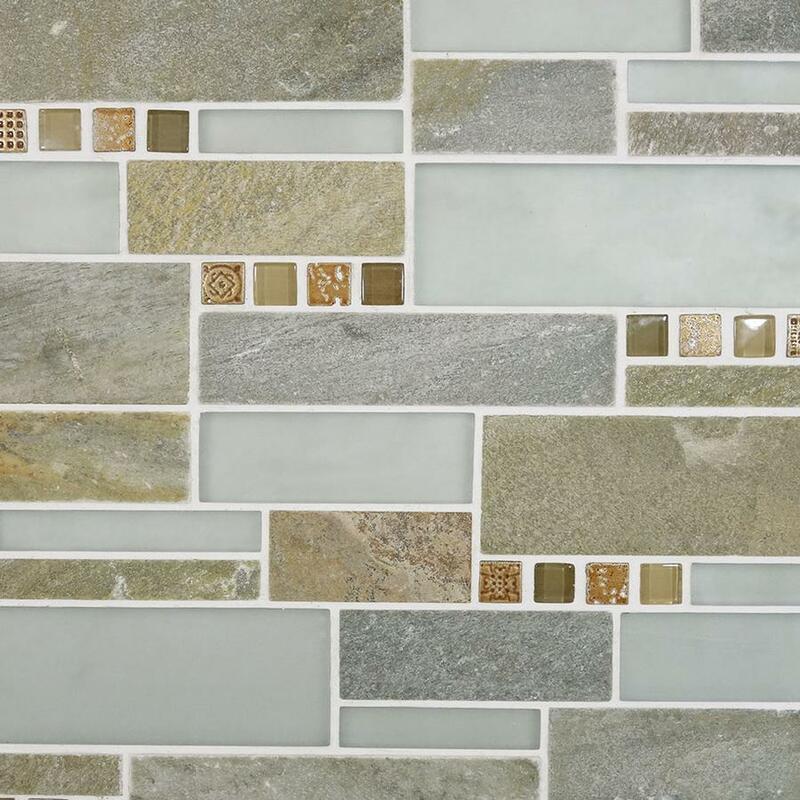 Accented with frosted glass tiles and artistic listellos. 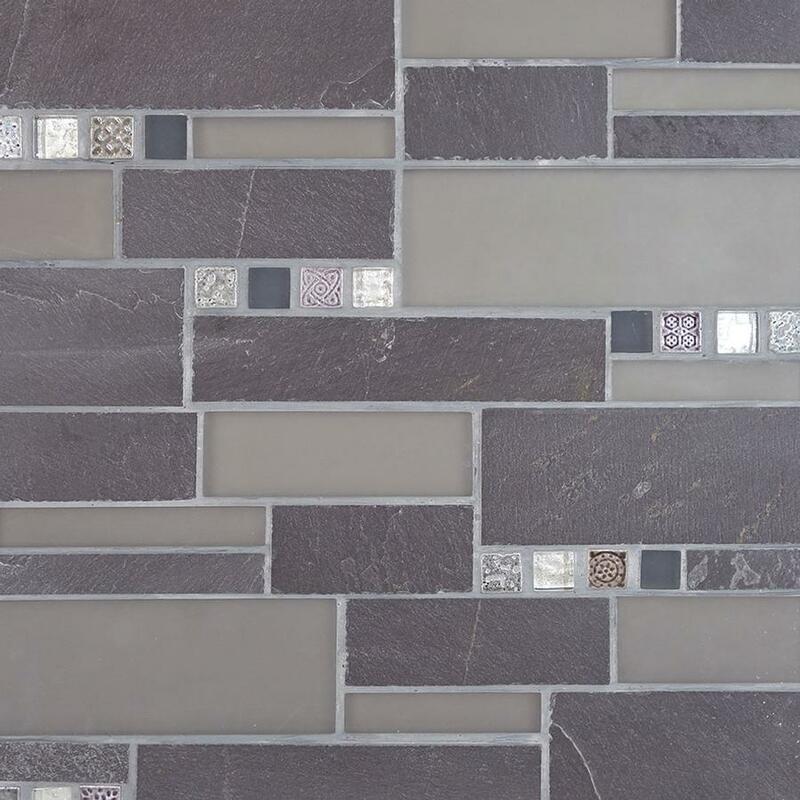 These mosaics compliment both contemporary and rustic designs. 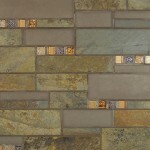 See them in person at our Stanley showroom!